There is no conclusive evidence as on date which may have found any adverse health effect by EMF radiation from the mobile tower or mobile hand set by the WHO or SCENIHR. It appears that some myths are being spread and circulated simply in order to create fear amongst the people, but then as aptly said by Nobel laureate Marie Curie that “Nothing in life is to be feared, it is only to be understood. Now is the time to understand more, so that we may fear less.” the bench said while dismissing the petitions seeking ban on mobile tower installation near their homes. 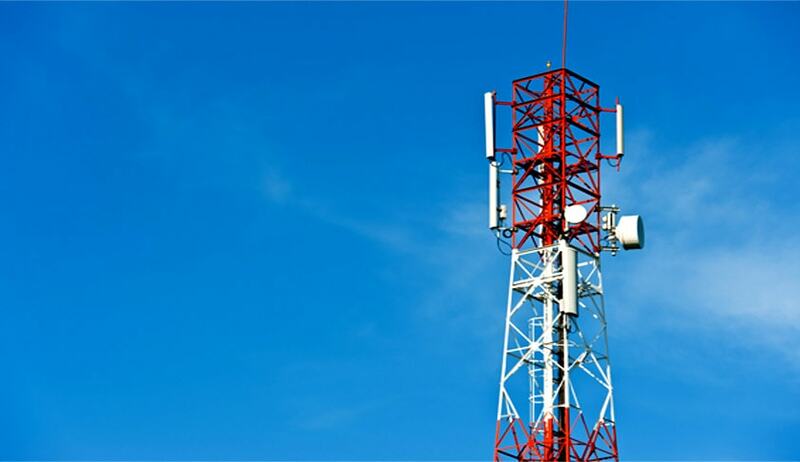 The High Court of Himachal Pradesh, last week, has held that, mobile tower radiations do not cause any health hazard to people living in its vicinity and it is a just a myth being spread in order to create panic among people. The first bench of the High Court comprising of Chief Justice Mansoor Ahmad Mir and Justice Tarlok Singh Chauhan, dismissed a batch of writ petitions which had challenged installation of mobile towers near their residences. The division bench, in its 40 page judgment has quoted many reports and case laws to arrive at this conclusion that the mobile tower radiation is not that hazardous. Following interesting observations were made by the court, after referring to reports of World Health Organisation and that of Scientific Committee on Emerging and Newly Identified Health Risks. Radio frequency radiation from the mobile towers and phones are in minuscule range and is lakhs of time weaker than X-rays or UV rays or even normal visible light. In fact, so low that they simply cannot cause any disturbance of electrons in the basic atoms of matter or living tissue and hence classified as “non-ionising radiation”. Radiation in itself is nothing new and has been there since life began on earth three and a half billion years ago. Radiation is all around us and we are all actually submerged in naturally occurring ionizing radiation reaching us from the outer space, even from the radioactive elements and materials around us. Sun shine in itself is a familiar form of radiation. It is evident from the perusal of the aforesaid reports that the exposures to electromagnetic fields (EMF) do not have any notable effect on the health of human beings. Evidently, the studies conducted till date by the two premier organizations i.e. WHO and SCENIHR go to indicate that despite a large number of studies having been carried out for the last two decades to assess the potential health risk on account of emission of EMF, no major adverse health effect has been noticed. There is no conclusive evidence as on date which may have found any adverse health effect by EMF radiation from the mobile tower or mobile hand set by the WHO or SCENIHR and so long as EMP radiation power level in vicinity of Mobile Base Stations is below the prescribed limits, there should not be any cause or concern for adverse thermal effect onhuman beings living close to Mobile Base Station or in the nearby vicinity. The court also observed that there is a broad consensus among the High Courts across the country that, radiation being emitted from the Mobile Base Stations do not cause serious risk on the health of the people living near these base stations. In Reliance Infocom Ltd. Vs. ChemancheryGramaPanchyat AIR 2007 Ker 33, Kerala High court had held that no general risk to the health of people living near the basestations on the basis that exposures are expected to be smallfractions of guidelines. Many other High courts except Rajasthan High Court followed the opinion expressed by Kerala High Court. However, Rajasthan High Court in Justice I.S Israni (Retd.) and another Vs. Union of India, 2013 (2) WLC, Rajasthan, 603, said that it is necessary that public is made aware of different mobile sets in use whether they are as per norms or not and also to inform people of ill-effects of mobile handsets and towers and precautions which are necessary as per guidelines issued by Dot. WHO has not found Mobile radiation safe yet? With regard to the above indicated inconclusive stand expressed by WHO vis-à-vis health hazards due to mobile radiations, it seems that more balanced view on this issue was taken by the Rajasthan High Court when it issued the following directives. That let the towers from hospitals be removed within a period of two months from today. That let towers from Colleges be also removed within two months from today. That since State Government has fixed the time for removal of towers within vicinity of 500 meters from the jail premises within six months, let it be implemented within the time prescribed by the State Government in its order and bye-laws dated 31.8.2012. That in case any tower is existing near ancient monuments or old heritage building, the removal be considered by the State Government and local authorities concerned examining on facts on individual basis whether removal is necessary within two months from today. That similarly, the towers on playgrounds may also be looked into and appropriate action be taken within two months from today. That with respect to mobile handsets and issue of clearance for installation of mobile towers, guidelines issued by DoT mentioned above be strictly enforced. That public be educated and made aware of different mobile sets in use whether they are as per norms or not. Public be also informed about ill-effects of mobile handsets and towers and precautions which are necessary as per guidelines issued by Dot. In this regard, let steps be taken by DoT and COAI etc. to advertise them by different modes of communications. That the State Government and the Local Authorities to take decision on case wise basis with regard to installation of towers in the densely populated areas in accordance with law. Considering individual grievance, they can order removal of dangerous towers which are not established as per norms and are erected without the permission. Thus, we give liberty to the petitioners in the public interest litigation to approach the State Government/Local bodies in this regard. That as the regulatory body has been framed by the Central Government in the form of Telecom Enforcement, Resource and Monitoring (TERM) Cells, the Government may consider whether it is appropriate to change its constitution by including the member of general public so as to generate confidence in the public. That with respect to constant monitoring etc., requisite directions have been issued by DoT and in the report of Inter-Ministerial Committee which has been accepted by the Government of India be implemented as early as possible. That while granting permission for installation of towers, the concerned bodies to consider number of mobile towers in area, what would be the effect on the health of people in case towers are permitted to be erected and to minutely consider various other safeguards.